Lesley Lokko is Head of the Graduate School of Architecture and Associate Professor at the University of Johannesburg. She is also the author of eleven best-selling novels. She studied at the Bartlett School of Architecture, University College London, graduating with a BSc(Arch) in 1992, and an MArch (with a double distinction) in 1995, before going on to gain her PhD in Architecture from the University of London in 2007. 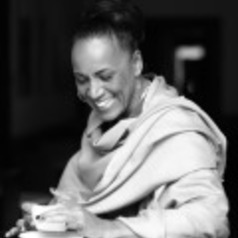 She has taught at schools of architecture in the US (Iowa State University and the University of Illinois at Chicago); the UK (Bartlett School of Architecture, Kingston University, London Metropolitan University and the University of Greenwich), as well as South Africa, where she was Visiting African Scholar at the University of Cape Town. She was the Martin Luther King Visiting Professor of Architecture at the University of Michigan in 2000 and has, since 2004, been Visiting Professor at the University of Westminster. She is the editor of White Papers, Black Marks: Race, Culture, Architecture (University of Minnesota Press, 2000) and has been an on-going contributor to discourses around identity, ‘race’, African urbanism and the speculative nature of African architectural space for almost twenty years. She was a founding member of ThirdSpace, a UK-based collective examining the relationship between architecture, globalisation and cultural identity, and was a co-founder of the current MArch programme at the University of Westminster, Architecture, Cultural Identity and Globalisation (MACIG). She is a regular juror at international competitions and symposia, most recently at EUROPAN (Vienna 2009); Blueprints of Paradise (Amsterdam 2012); ArchiPRIX International (Moscow 2013); Architecture Film Festival (Rotterdam 2013) and Afri-tecture: Building Social Change (Munich 2013). She has been a long-term contributor to BBC World and BBC Radio 3 arts programmes in the UK and is currently Architectural Review’s Correspondent for sub-Saharan Africa. In 2004, she made the successful transition from academic to novelist with the publication of her first novel, Sundowners (Orion 2004), a UK-Guardian top forty best-seller, and has since then followed with eight further best-sellers, which have been translated in fifteen languages. For over a decade, she has juggled two very different careers simultaneously, though not always smoothly.